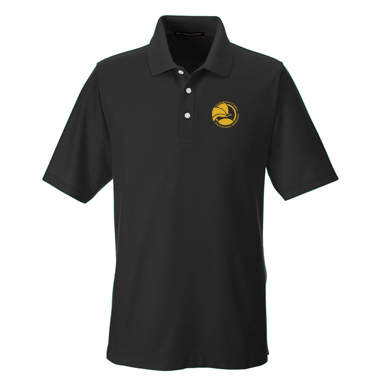 DEA SEAL POLO Men's performance polo. A moisture wicking performance material that has a no-fade, no-shrink, no-wrinkle guarantee for 20 washes. Decorated with an embroidered DEA Seal.